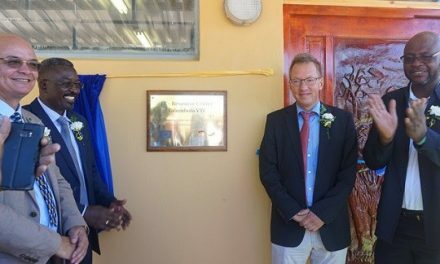 An educational concept that has delivered exceptional results in Arandis, Ondangwa and Swakopmund, has been replicated in mobile form and launched last week. 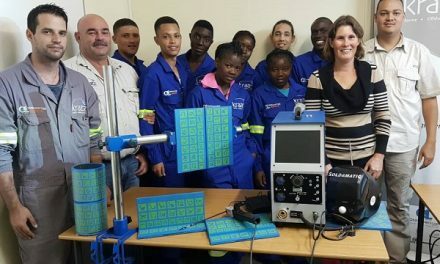 Two partners, the Rössing Foundation and Nedbank Namibia joined forces to furnish three mobile laboratories, modelled on the same concept as the Rössing Foundation’s Mathematics, English and Science Centres operated in the towns of Arandis, Swakopmund and Ondangwa. These rolling laboratories have been deployed to rural schools where tuition in the three critical subjects is hampered by lack of facilities, poor teaching and long distances. The mobile laboratory, funded by Nedbank, are mobile replicas of the Foundation’s educational centres. However, these centres are limited to teachers and learners residing in close proximity or who have access to transport. The majority of rural schools in poor communities continue to miss out on the valuable opportunities offered by this programme. The Rössing Foundation approached Nedbank to assist in making their Mathematics, English and Science Centres mobile, and so the Mobile Science Laboratory was born. 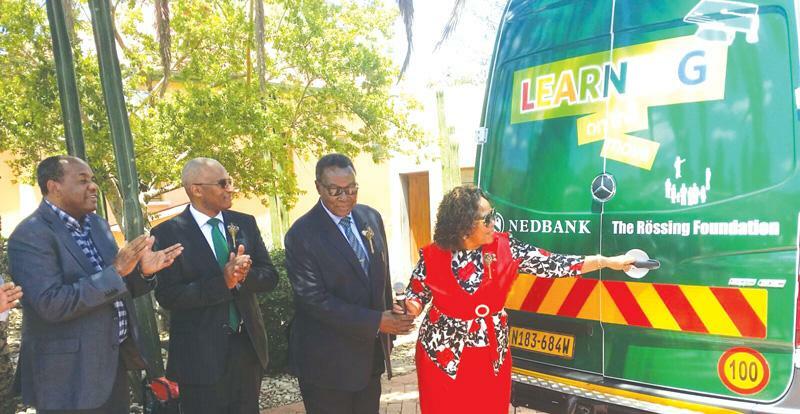 Nedbank has committed to sponsoring three of these vehicles, fully equipped with the necessary instruments and material to bring much needed educational aid in Mathematics, Science and English to rural schools across Namibia. Speaking at the launch last week, Managing Director of Nedbank Namibia Ltd, Lionel Matthews, said that education is one of the three defined pillars underpinning Nedbank’s philosophy in terms of corporate social investment.